Flip a coin. If heads, this attack does 10 plus 10 more damage. 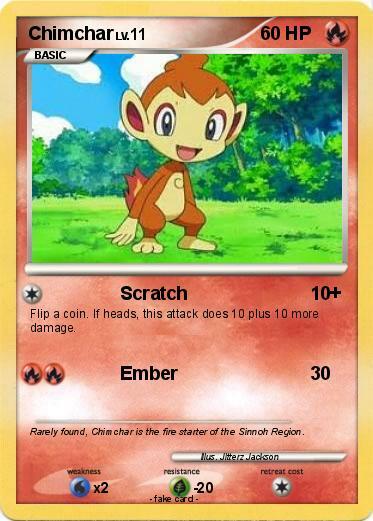 Comments : Rarely found, Chimchar is the fire starter of the Sinnoh Region.